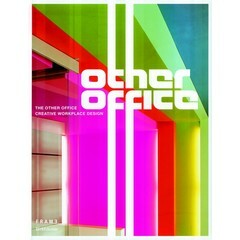 A global overview of prevailing trends in office design. 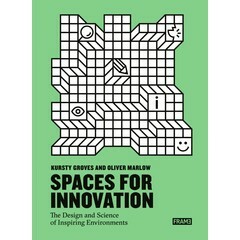 The book delves into how these companies promote productivity through connectivity thanks to the design of their workspaces. 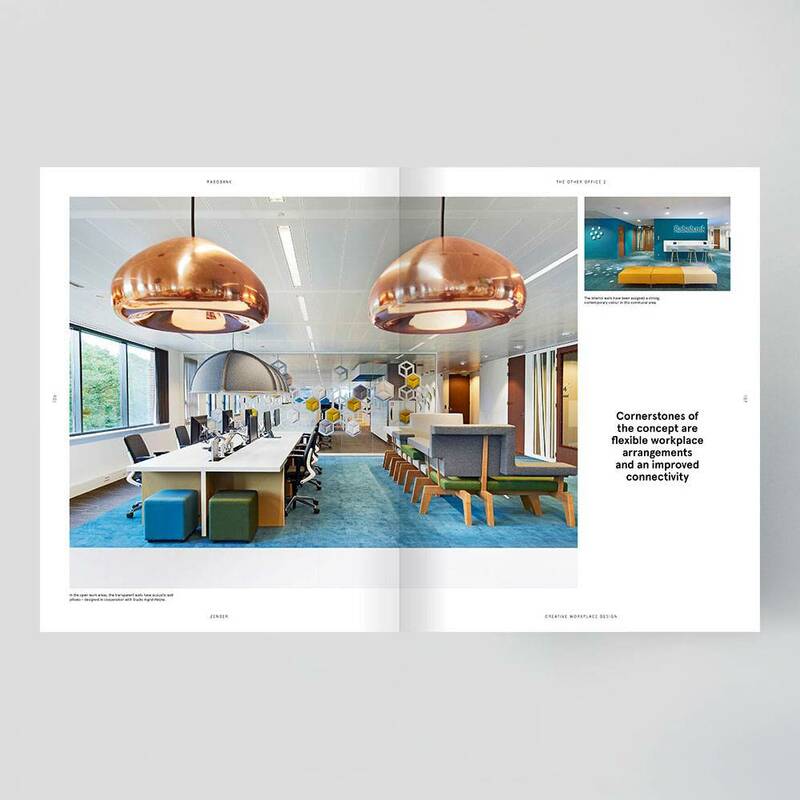 In The Other Office 2, a recurring theme in the 80 cutting-edge projects is the centralisation of communication hubs, with more focused working spaces placed at the periphery. 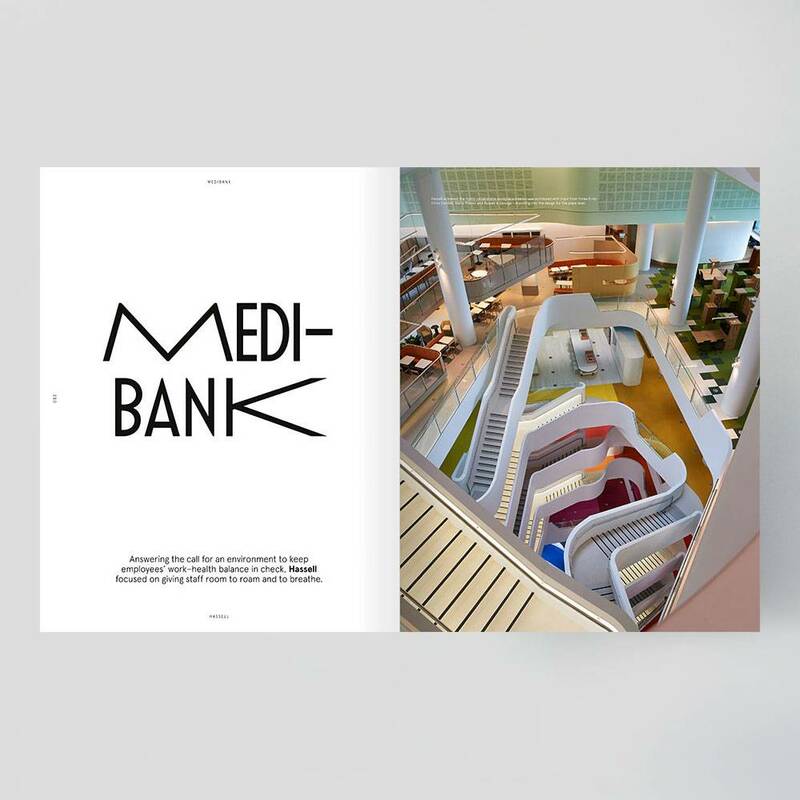 Another high priority is ensuring staff are catered for in terms of health and social aspects – in particular emphasising the need for physical activity, thus providing bikes and scooters to get around the building, or adding a competitive edge to the feature staircase by including sensors to track the distance climbed per week of employees. 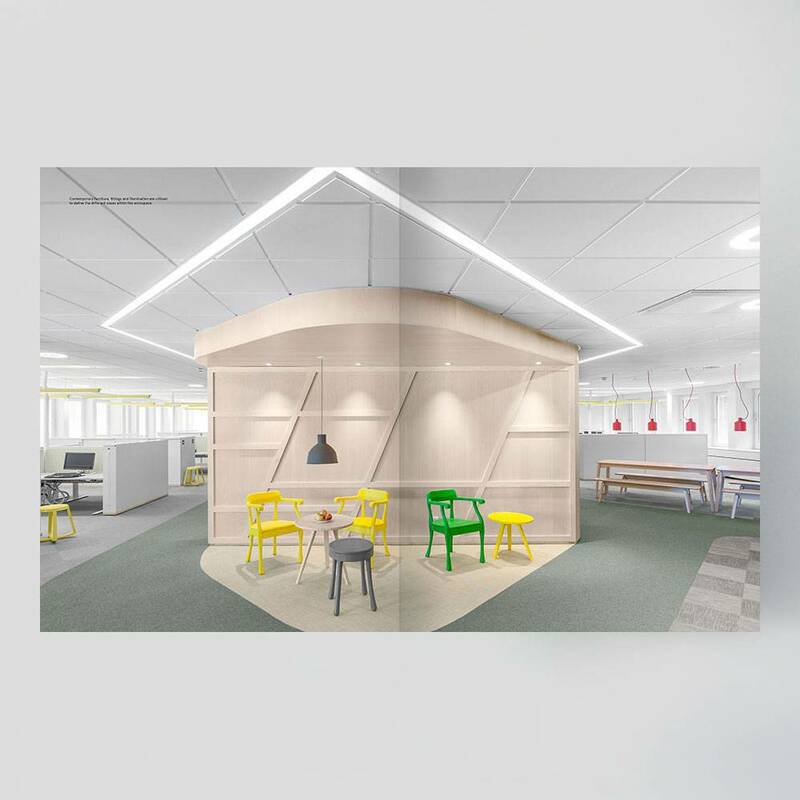 The showcased interiors not only support innovation and creativity in the workforce, they also generate opportunities for collaboration and, at the same time, help to connect and build communities. 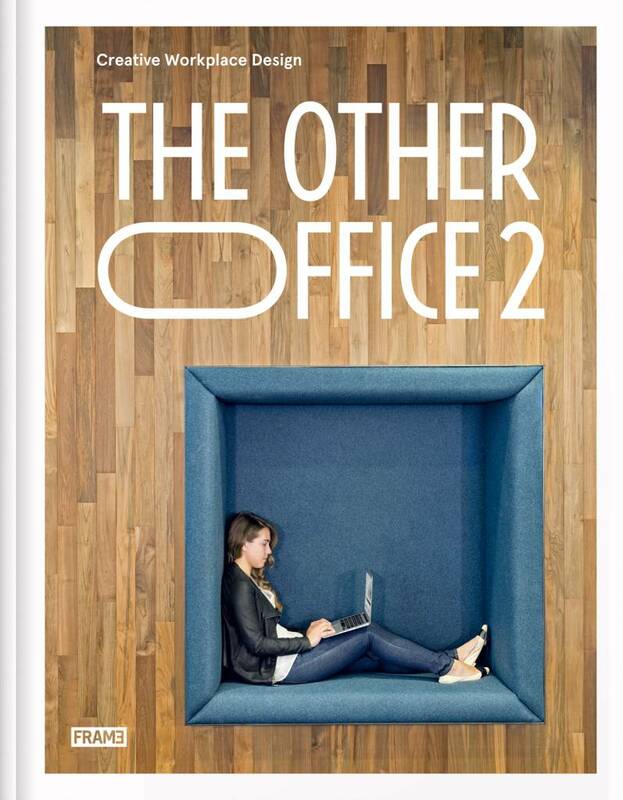 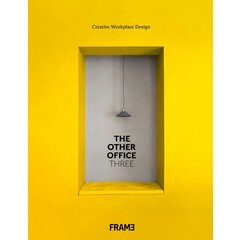 Successor of The Other Office, which was the first workspace book published by Frame. 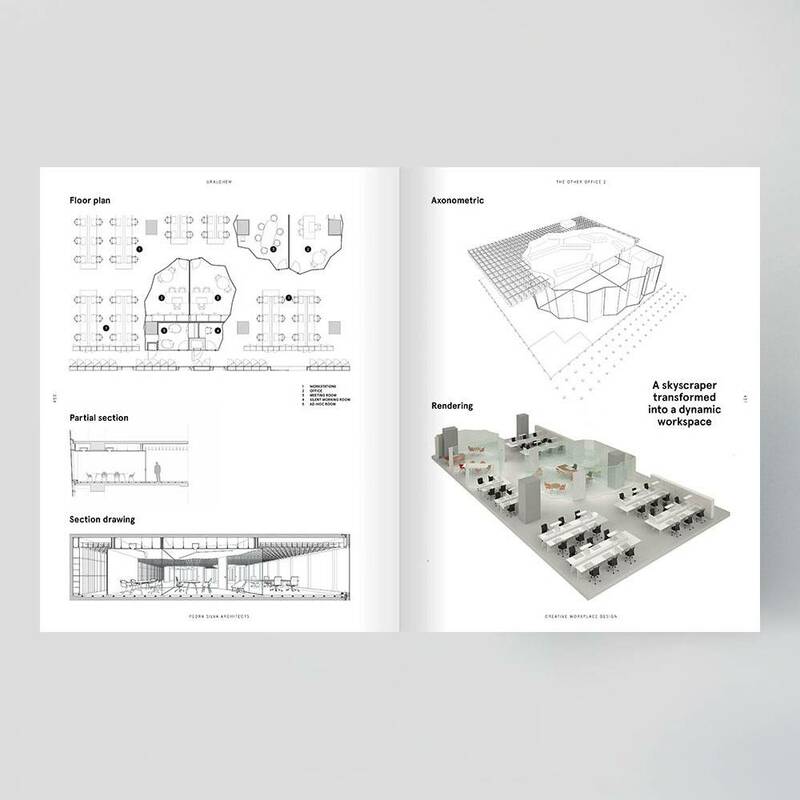 The 488-page luxurious volume features 80 cutting-edge offices from around the globe. 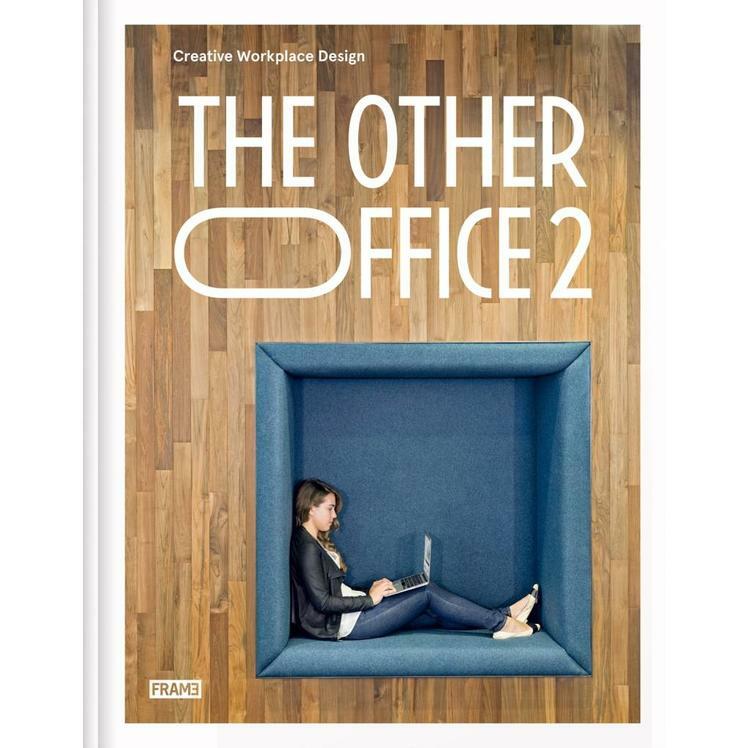 The book focuses on interiors that illustrate the current trends in office design, developed with a knowledge of what is at the heart of workforces and their day-to-day requirements. 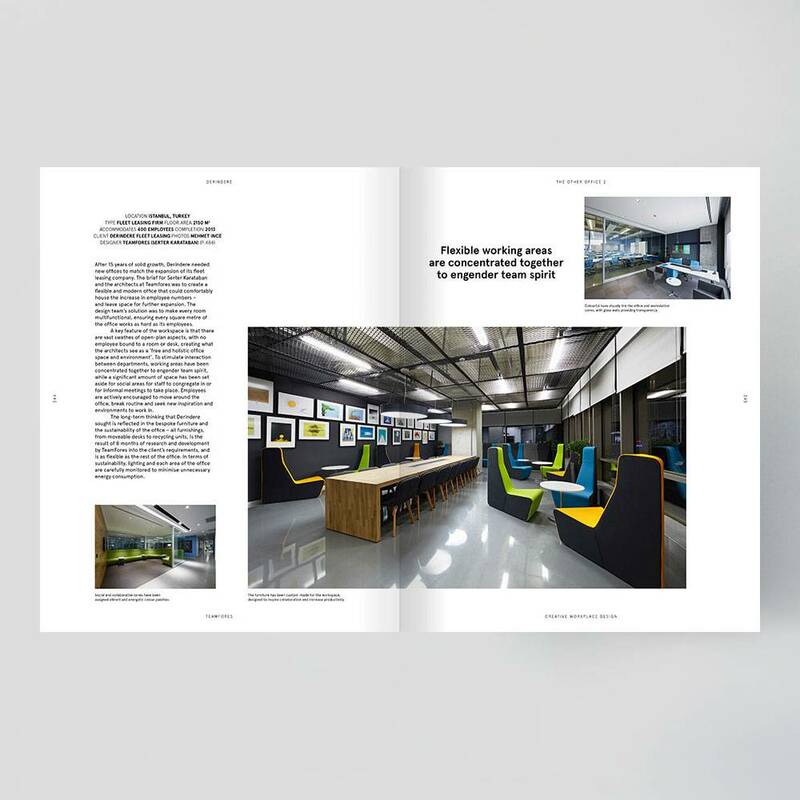 Outlined are the challenges that designers must overcome to be able to realise more efficient, contemporary and – all importantly – creative working environments. 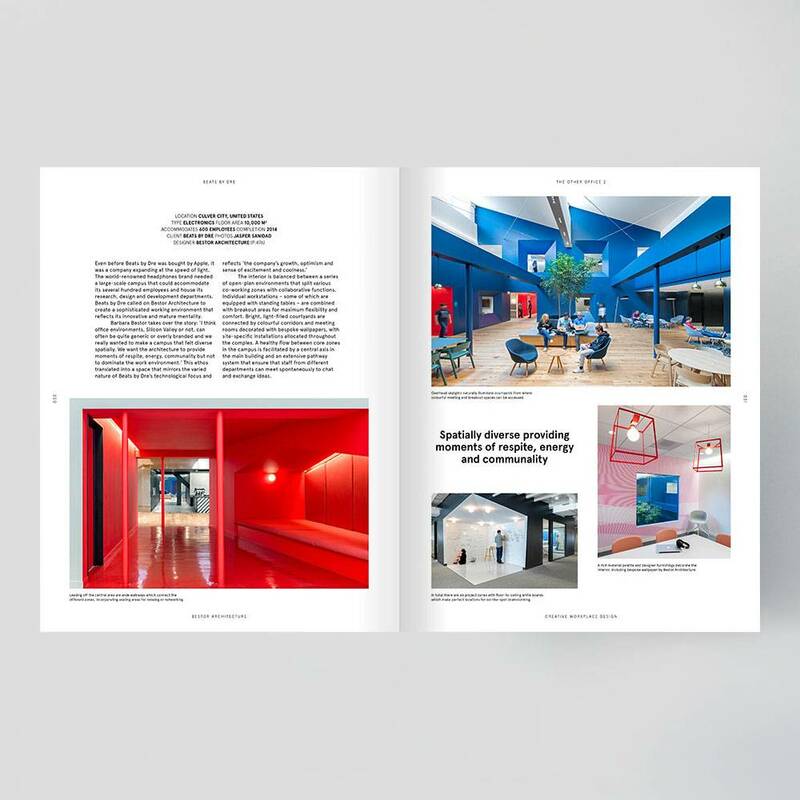 Peek inside the offices of tech and finance firms, creative agencies and media outfits, and public services and co-working providers, such as Airbnb, Google, Rabobank and Wieden+Kennedy. 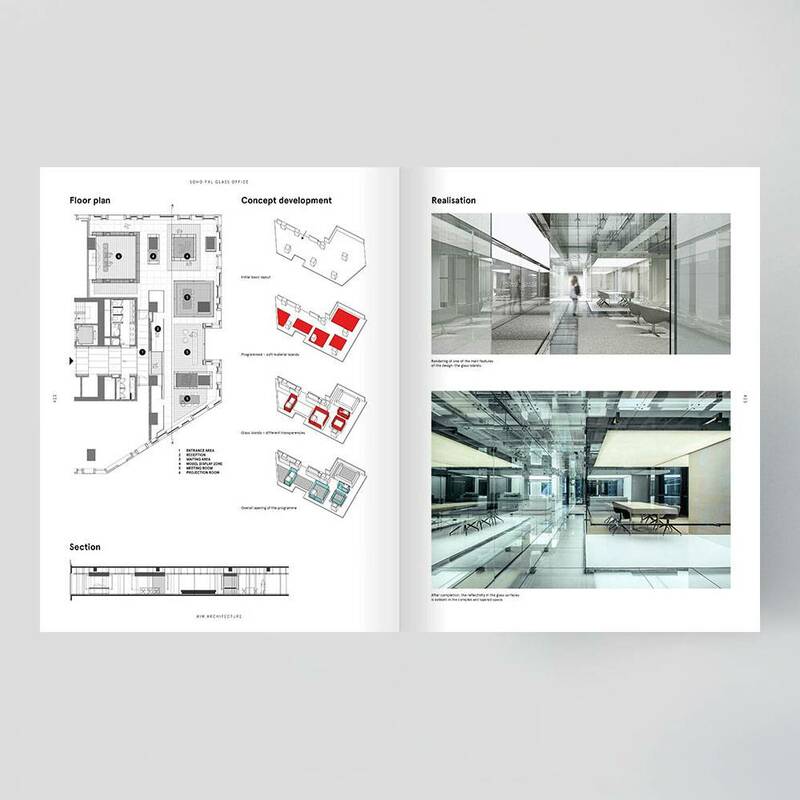 Projects are showcased on 4 to 8 pages with in-depth descriptions of both concept and design; the participating studios include Bestor, Gensler, Ippolito Fleitz Group, Neri&Hu, Pinkeye, Rapt Studio and Schemata Architects. 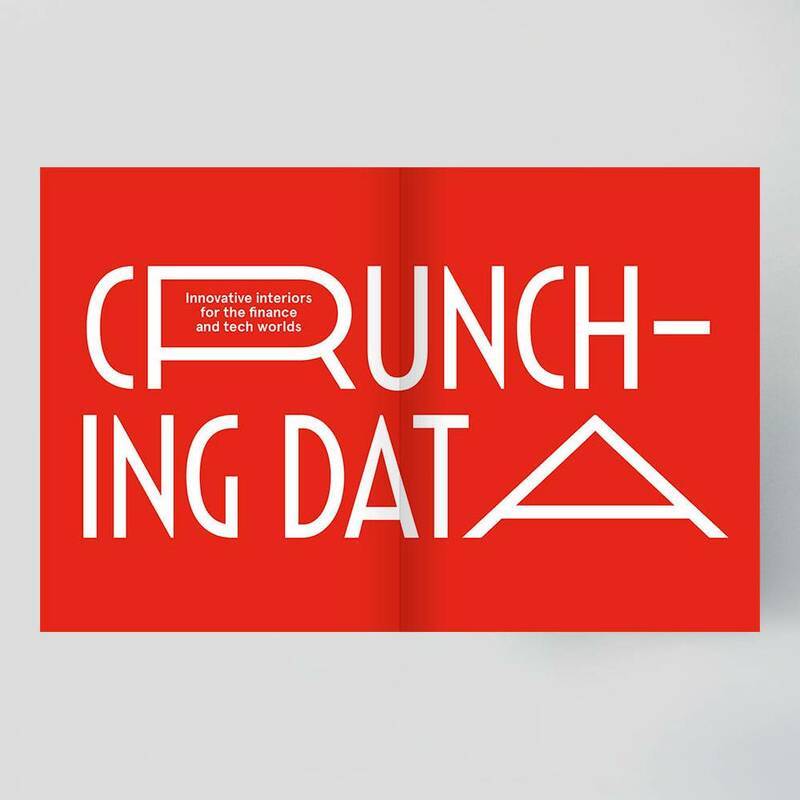 Up-to-date reference tool for professionals of the commercial architecture and design community, divided into three chapters and indexed by name of designer and office space. 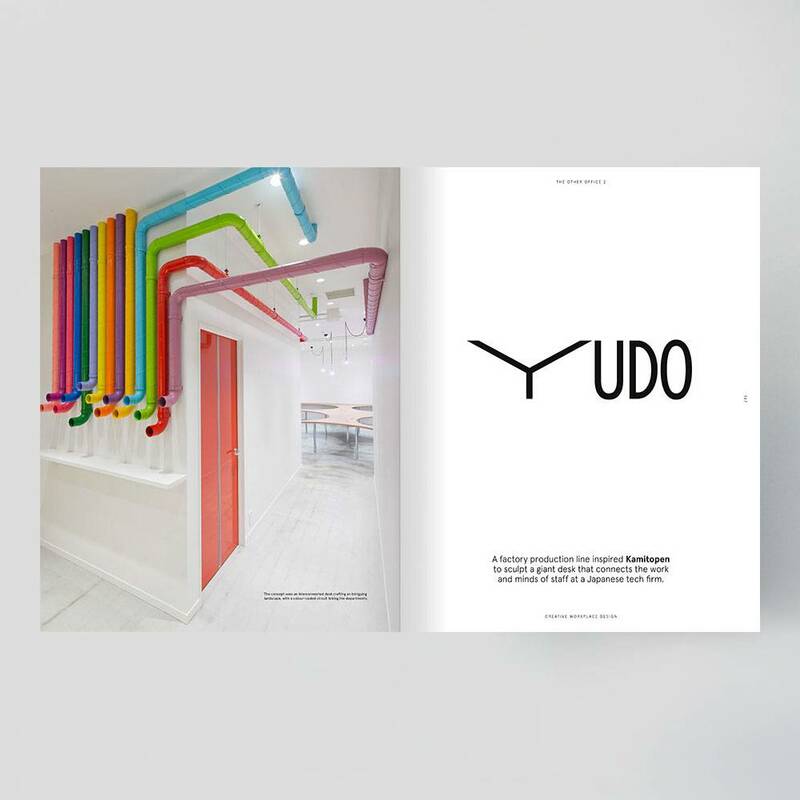 Featured projects are accompanied by descriptive text, designer profiles, project credits, contact details and stunning photography.